IN934. 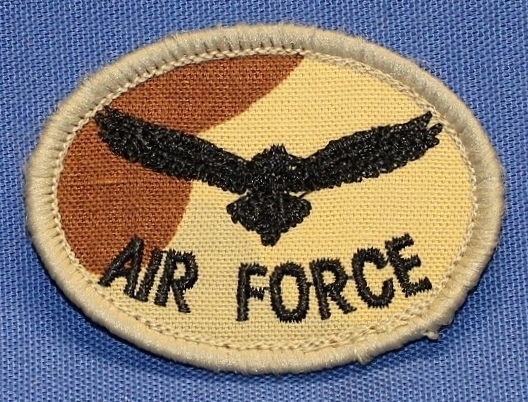 An officers overseas shoulder title. IN1135. 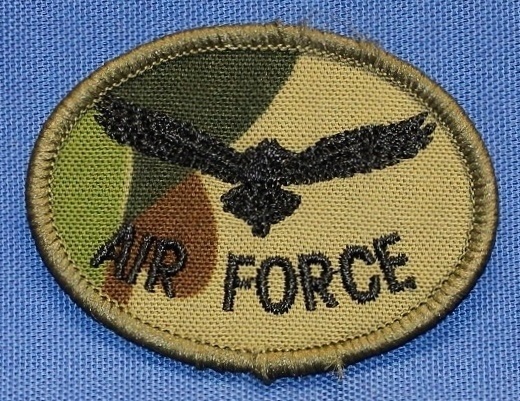 An officers overseas shoulder title. IN1136. 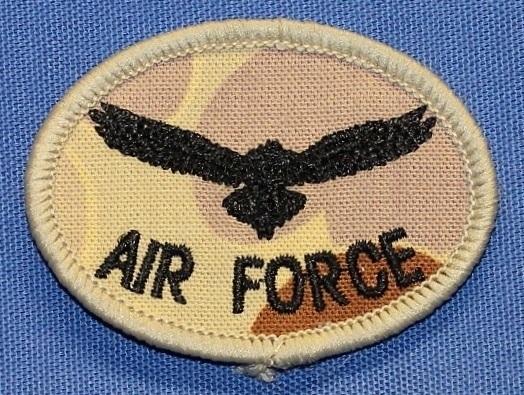 An officers overseas shoulder title. IN1603. A British made officers overseas shoulder title. IN1604. A British made officers overseas shoulder title. IN1481. 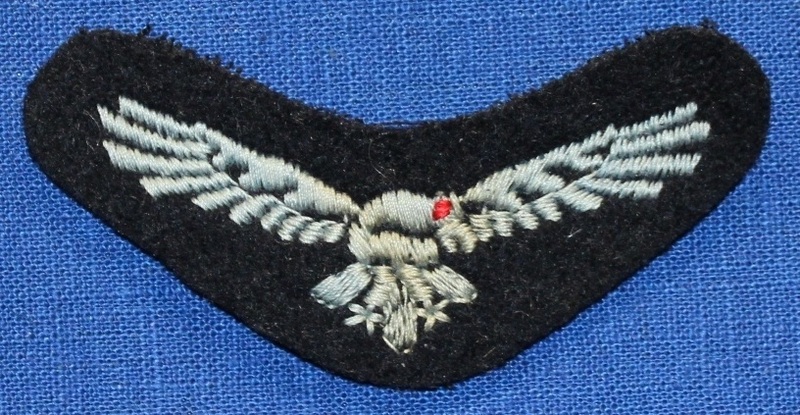 Dark blue shoulder title worn in the 1960s -1970s. IN727. 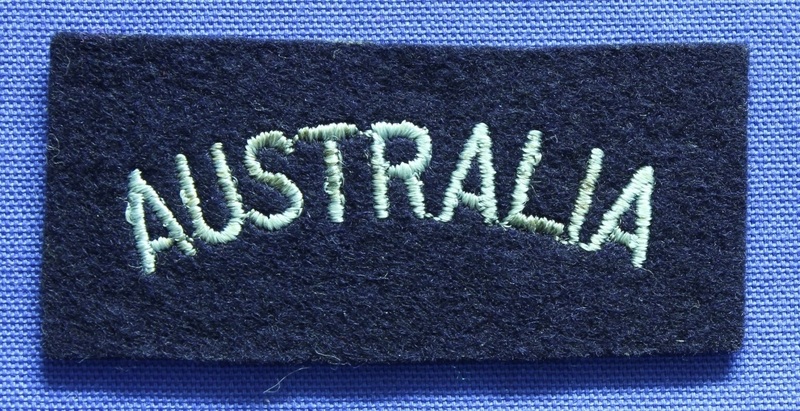 A blue/grey shoulder title for the blue/grey All Seasons uniform introduced in 1972. IN1081. An unfinished blue/grey shoulder title. IN729. A raw edged blue/grey shoulder title for the All Seasons uniform that was introduced in 1972. IN721. 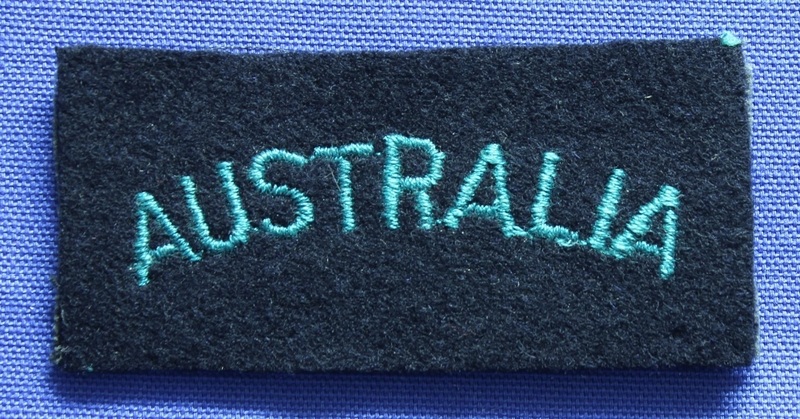 Shoulder title for the Howard Green jumper. IN997. 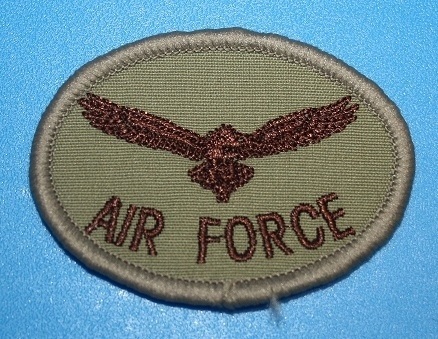 A khaki shoulder title (biscuit) for the drab uniform. IN080. A DPCU shoulder title (biscuit) for the DPCU uniform. IN036. 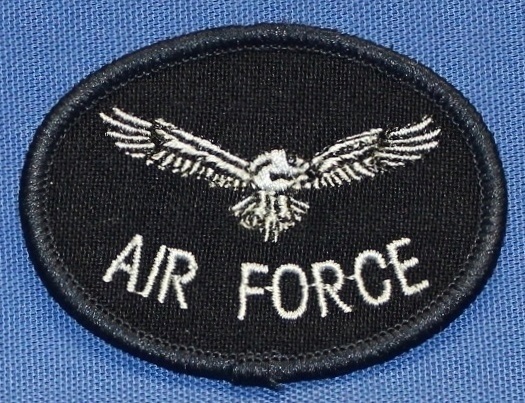 A dark blue shoulder title for the Air Force Blue uniform. IN081. A DPDU shoulder title (biscuit) for the DPDU uniform. IN1521. 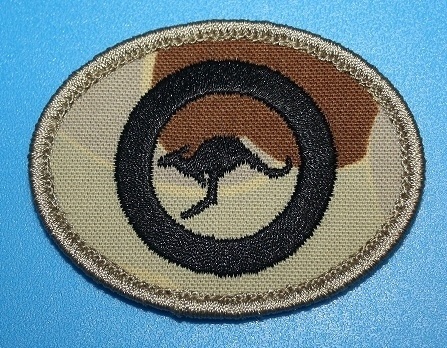 A DPDU shoulder title (biscuit) for the DPDU uniform. IN1523. 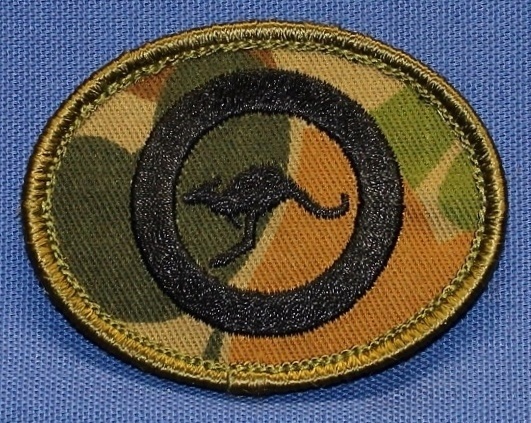 A DPCU shoulder title (biscuit) featuring the RAAF roundel. IN1007. 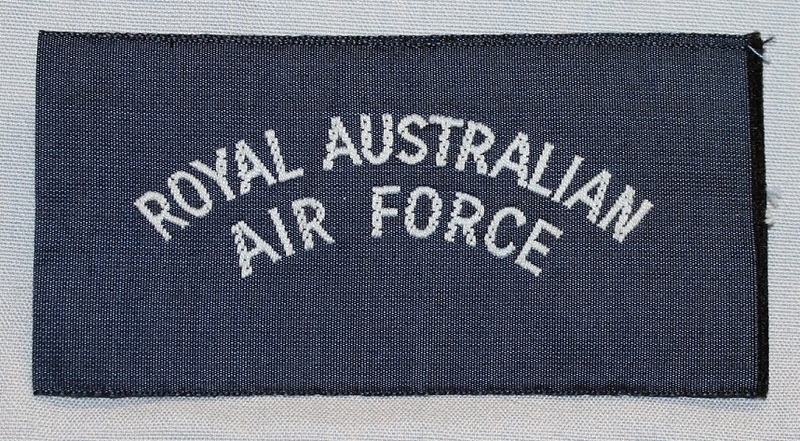 A DPDU shoulder title (biscuit) featuring the RAAF roundel.